Corporations spend an exorbitant amount of training dollars on diversity and inclusion education and awareness training, yet often fail to move the organization to the next critical step of embedding inclusion—ensuring people feel valued and involved. That’s where Human Facets® comes in. Attract talent that reflects the globally diverse marketplace. Retain talent that creates new solutions for diverse customers. Value diversity of thought and cultural differences. Challenge the concept of meritocracy, replacing it with a wider vision of cross cultural leadership. 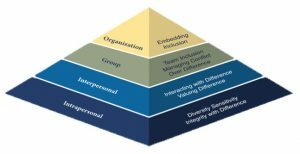 Human Facets’® unique and robust Embedding Inclusion program is designed to create an inclusive environment and embed new behaviours into the fabric of organizations. Elements of the program include an Inclusion Skills Measurement Profile (ISM), an interactive workshop, an ISM group profile report and embedding inclusion activities to ensure the culture change is driven into the organization. Human Facets® delivers completely customized programs to meet each client’s needs, working diligently to guarantee you get measurable, bottom line results. 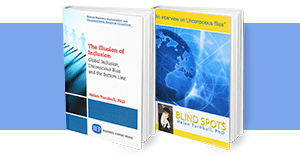 Contact us directly at (954) 370-6343 to get the details on our customized Embedding Inclusion Program or learn more about the natural predecessor to this program, Unconscious Bias, including Cognizant, an online assessment tool which measures individual and collective unconscious bias. Create Diversity and Inclusion Ambassadors! Provide your employees with very specific feedback on their abilities to manage in a global environment. Human Facet’s Embedding Inclusion Program incorporates a global online assessment tool designed by Dr. Helen Turnbull to motivate your employees to improve their performance as competent diversity and inclusion ambassadors.